After a bit of initial hesitation, LeeAnn Baker remakes history with a sense of Northwest elegance. “LEEANN BLEW US OFF,” jokes Chak Cheung, who lives with his wife, Lisa, in a luxuriously livable waterfront home on Mercer Island. 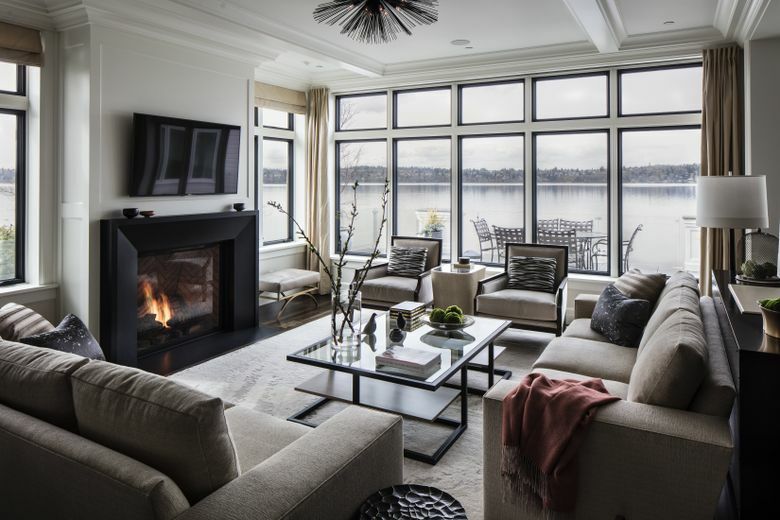 Technically, he is right — but only to a point, seeing as how the interior design of the Cheungs’ luxuriously livable waterfront home is by LeeAnn Baker Interiors. Also, in Baker’s defense, she didn’t blow off the Cheungs personally — just the house. Just for a minute. Also in Baker’s defense: She was right about the gutting. The previous house had been built in 1951 — one level, one carport, one daylight basement, 3,000 or so square feet. 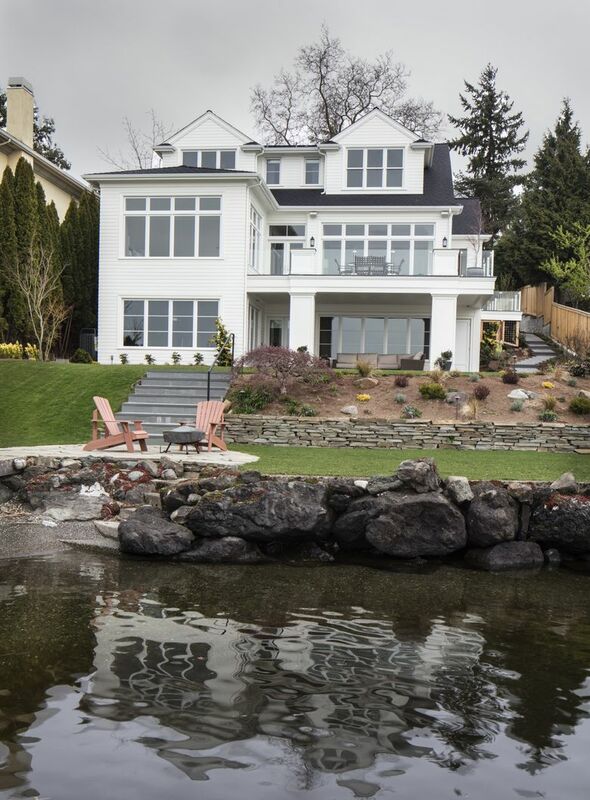 After the Cheungs bought it in 2010, Baker says, they updated a few things and used it as a beach house for summer entertaining while they raised their two kids in Bellevue. Once the Bellevue nest emptied, though, they were ready for more updates, an actual covered garage and monumentally enhanced views. Good thing Baker was on board. 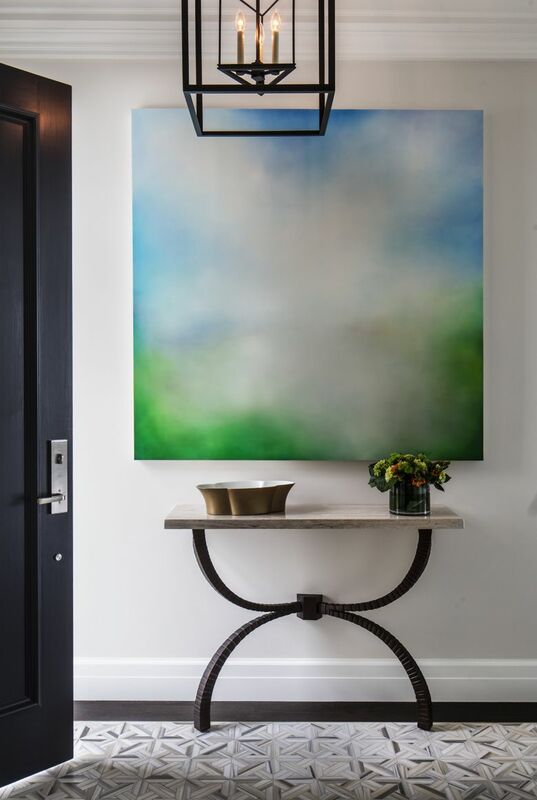 After a major remodel, the formerly awkward baby-sitting house has grown into a confident stunner: three levels and 4,200 square feet of comfy, plush sophistication; windows to Lake Washington and beyond; and, top to bottom, carefully selected elements, materials and colors that embody Baker’s signature Northwest Elegance aesthetic (“unpretentious and relaxed while still luxurious,” she says). 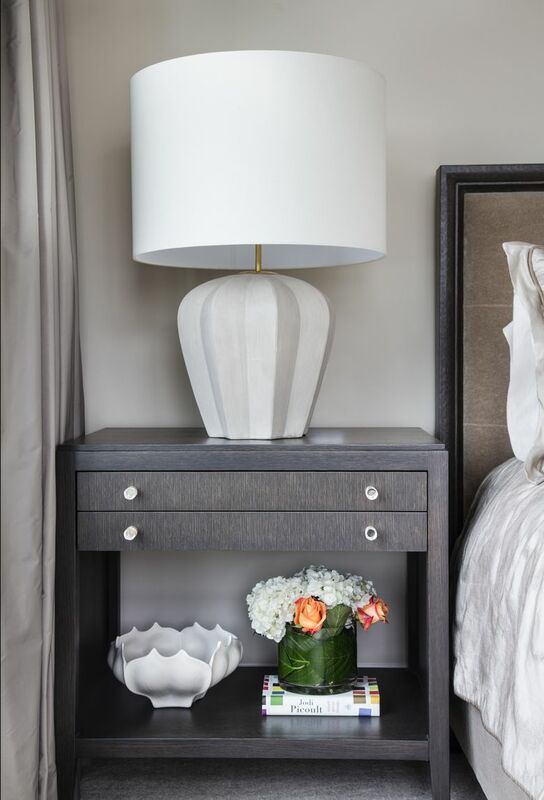 “Lisa has fabulous taste, and she wanted her home to be luxurious, like a New York town house, but still have finishes that would not have her guests feeling like they couldn’t be at home here — elegant, but not fancy or untouchable,” says Baker. The newly open floor plan, with the master suite on the main floor and guest suites and a music room on the new upper level, also opened opportunities. So the custom-made, cerused dining table, cozy for two and perfect for more, looks elegant but is sturdy enough to hide pesky everyday nicks and scratches. 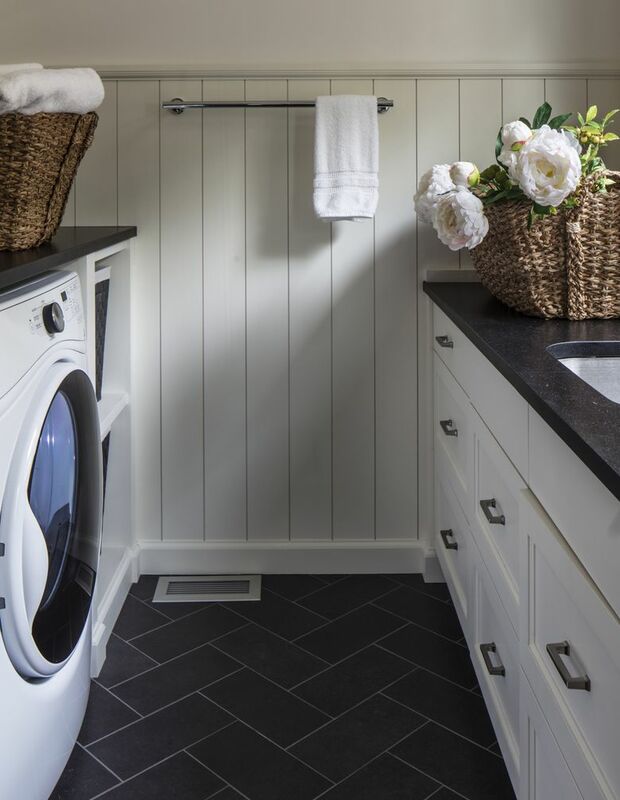 Fabrics are purposefully “soft and durable, nothing too precious,” says Lisa. 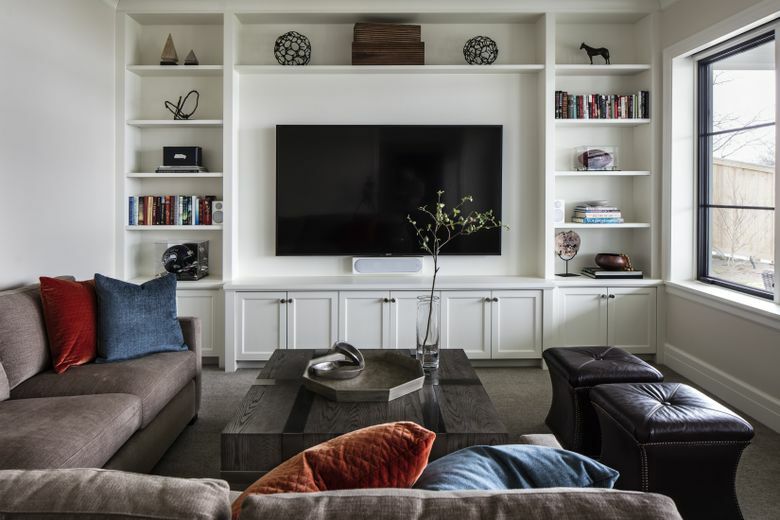 “This is so important to me when our friends gather.” And the coffered ceiling over the dining table is wallpapered “to make it feel like a different room in the great room,” Baker says. Chak was a little unsure, only at first, about the scones at the base of the gracefully dramatic stairway designed by Stillwell. Overall, Baker says, “I call it black, white and brass.” There’s inlaid brass detail in the entryway tile. 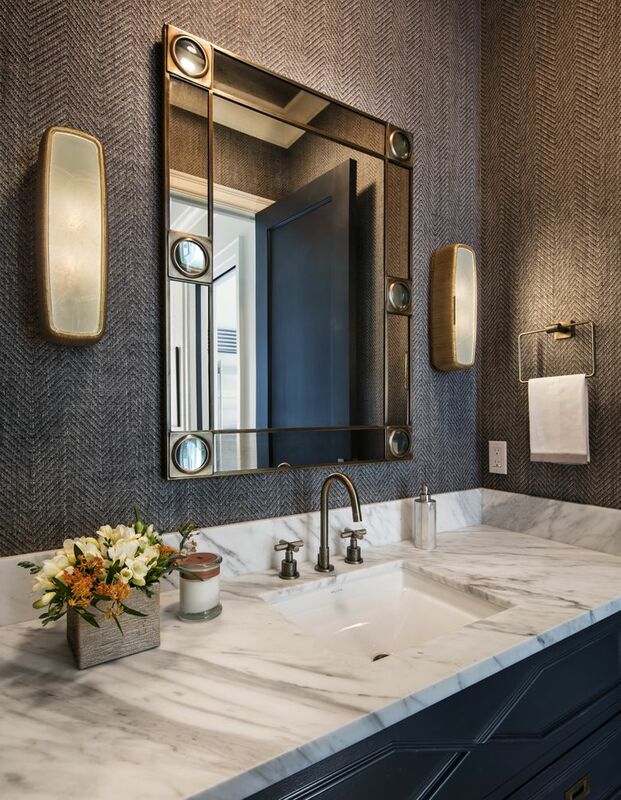 Touches of brass in the master-bathroom light and curtains. 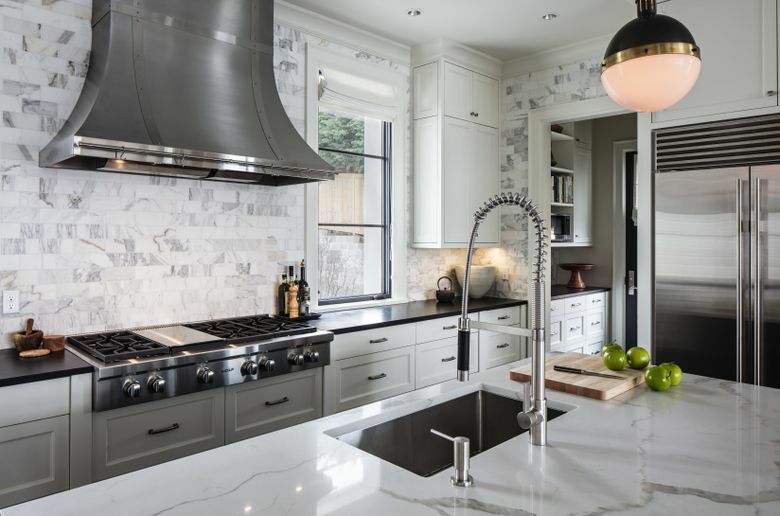 A black granite countertop in the kitchen. 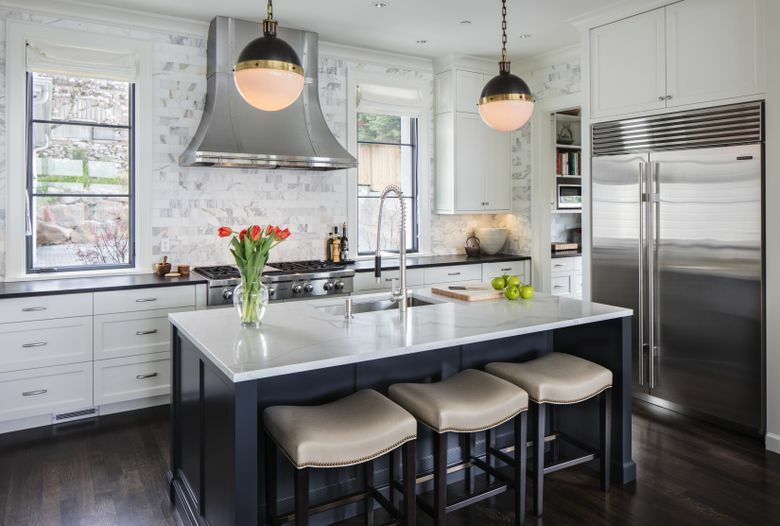 Black paint “opens up the view a little more” and evokes a “French metal-window feel.” Soft-black French doors everywhere that seem to chameleon into purples, blues or grays depending on the light.